Highly capable when it comes to one-on-one battle, but is likely to lose in most of the cases. 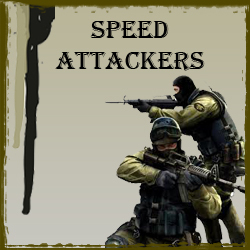 Mostly into racing car games but sure does well when it comes to counter strike. Can shoot heads at will but is killed most of the time the same way. It’s a do or die situation when it comes to this guy has a reputation of winning the hard rounds and losing the easy ones. A reputation of playing with full burst he would shoot anywhere to get his man. Style of play: Full Assault. A good aim and has beaten Fl@sh in a one-on-one battle.